We’ve just released our first book of travel photography, Prague: A Photographic Guide. The book is available only on the iBookstore or in iTunes, for viewing on an iPad. If you download it, please take a moment to rate it, even if you don’t have time to write a review. 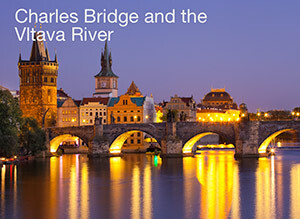 You can also browse an extensive gallery of Prague photos on the Bay Images website. Here’s a synopsis of the book: A stroll through Prague can make you feel like you’ve stepped back in time and when you walk down its narrow cobblestone streets, you see centuries of history, architecture, and culture. Prague: A Photographic Guide recreates the city experience with a stunning photographic tour of the best known historical and cultural sites. 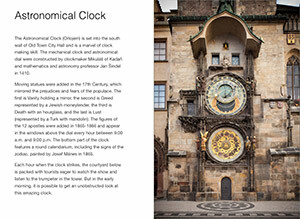 With more than 100 high resolution, retina display-ready photographs, readers can tour Old Town Square and see the Astronomical clock, walk through the solemn Old Jewish Cemetery, and enter the majestic Saint Vitus Cathedral. Travelers can use this book to help plan a trip or bring back memories of a visit to the city. Photographers can gain inspiration from the beautiful pictures and use the book to stimulate ideas for their own photographs. The book also covers nearby Kutna Hora and Sedlec, which are just a short day trip from the city. Note that this book does not cover hotels, dining, or lodging as there are plenty of other excellent references dedicated to this information.